It's possible you may have discovered this site while googling things to do on your vacation here in Salem Oregon. The Eat Salem blog, created and operated by Willamette Valley locals, has lots of information about restaurants in the state capitol. People express opinions here freely and often anonymously, so comments can vary greatly. There are lots of reasons to vacation in this town, visiting family, stopping through on your way to the coast or the mountains, or doing business with state government. The following is a list of ideas and information you won't find on the Chamber of Commerce website or in tourist brochures found in hotel lobbies. This is a list of creative ideas and secrets that are off the usual tourist tract here in town. Here goes. -Parking is free downtown but do not park for longer than the signs allow. I mean do not park for even a minute longer. Our parking enforcement department is a ridiculously efficient government agency, patrolling the downtown streets with computer aided tracking devices knowing at all times the whereabouts of your vehicle. They will nail you every time you are late getting back. When it's time to move it, move it and don't try to be cute and park it a couple spaces over. The parking rules say that you must move to a different block face to avoid the fine which can be around $15. We do have parking structures with unlimited free parking, but none of the locals can figure out where they are. Here's a link. -If you're here for state business and are hoping to buy a few drinks for you favorite state lawmaker, the bar of choice is Magoo's, 275 Commercial Street downtown. It's a small, dark, smoke free club where the powers that be like to unwind after spending our tax dollars. Be careful though, the Oregon legislature has strict rules limiting gifts to lawmakers to under $50. Here's a link to the rules. -Eat and shop downtown. 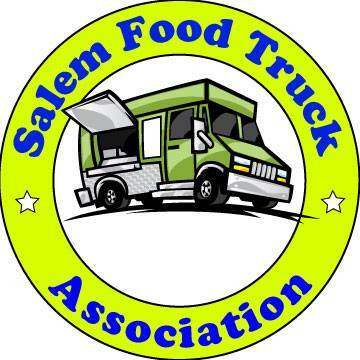 You will have a much more enjoyable memory of Salem if you visit our thriving downtown sector. The locals here are making an effort to revitalize our historic downtown and efforts like our farmer's markets and First Wednesday are strengthening the city center. Commercial sprawl in other parts of town, mainly Lancaster Blvd, are congested with automobile traffic, strip malls, chain stores and gas stations on almost every corner. There are locally owned businesses over there but you have to wade through a sea of cars to get to them. -An interesting historical feature of Salem is the Oregon State Hospital. The film One Flew Over the Cuckoo's Nest, starring Jack Nicholson, was filmed at the state psychiatric hospital where the buildings look much the same as they did when the movie was filmed in the 70's. It's a secure facility but you are able to walk around some parts of the campus, mainly along the road. Be careful taking photos though, this is a hospital and federal HIPAA laws prohibit pictures of patients. If you have any other suggestions for tourists, leave them in the comment section of this post. We just returned from a fun trip to The Reed Opera House. I appreciate how the shop owners make you feel so welcome and the building is like a trip to the past. There's my tip! If you are driving through the Salem area and you have young children 7 yrs and younger that need to get out and play for a while stop by NW Kids Club and let them burn off some steam before driving past and wishing you should have stoped. exit 256 Market St exit. NW Kids Club is behind the Newport Seafood Grill Market St and Hawthorne Ave. 1810 Freeway Ct NE Salem.